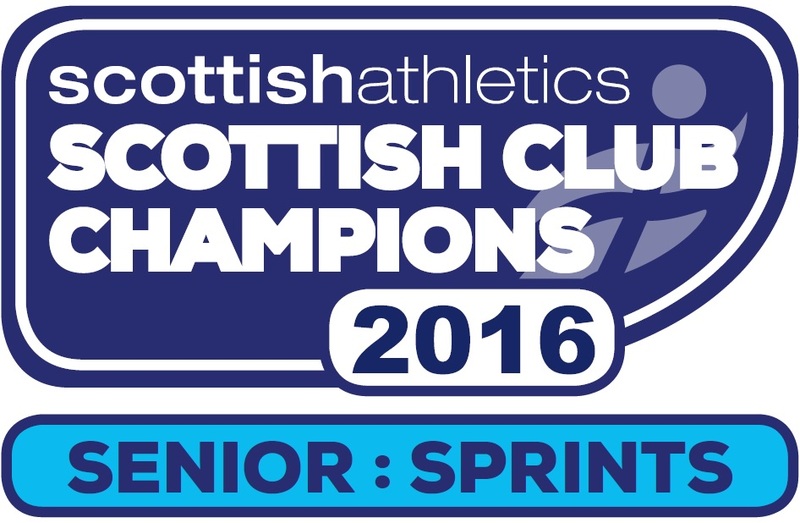 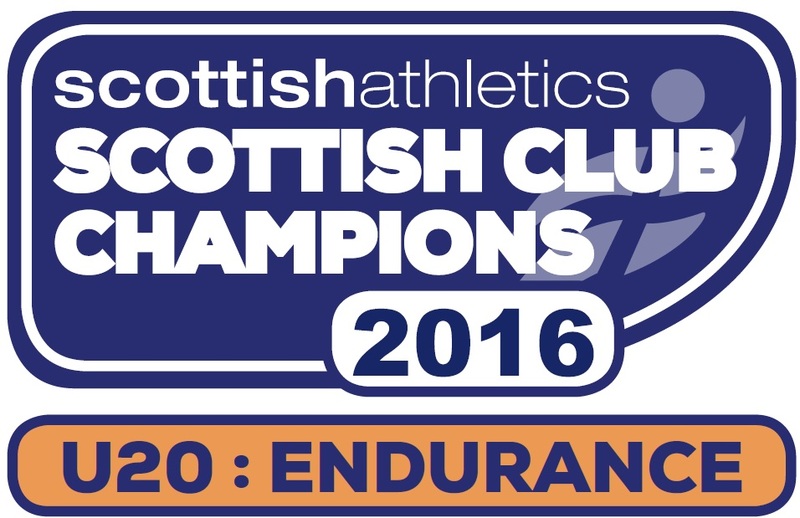 Elspeth Curran was 6th in the women’s race in a time of 36:05, Stuart Kerr 77th overall in 37:37 & Grant Sandilands 151st in 39:55. 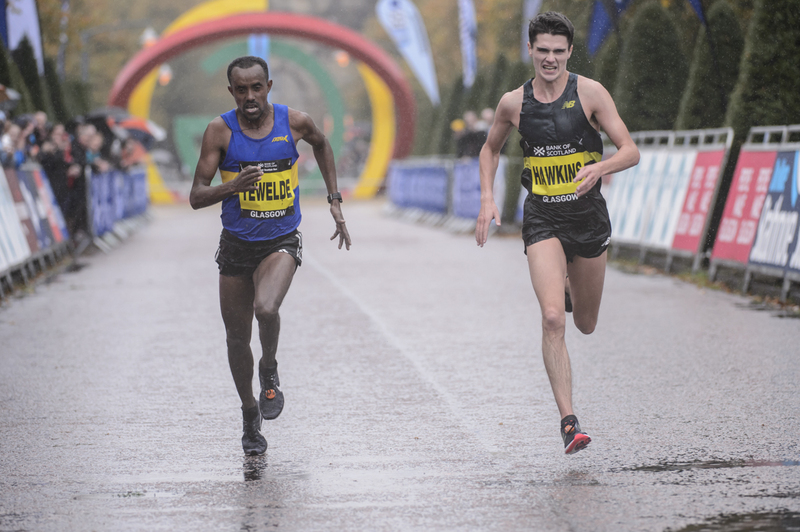 Next up was the half marathon with Callum Hawkins looking to defend his title from last year, he lead for the first few miles but as the race headed towards the South side Chris Thompson took hold of the race and opened up a gap. 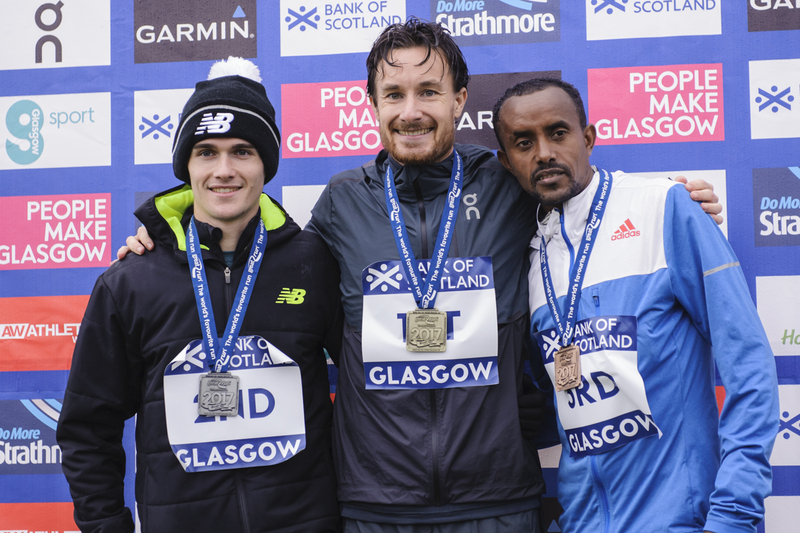 Callum hung on to 2nd for the majority of the second half of the race, closely tracked in behind by Tsegai Twelede who tried to take Callum in a sprint finish but Callum wasn’t to be denied and clinched the Scottish Half Marathon Champion title on the line both clocking 63:18. 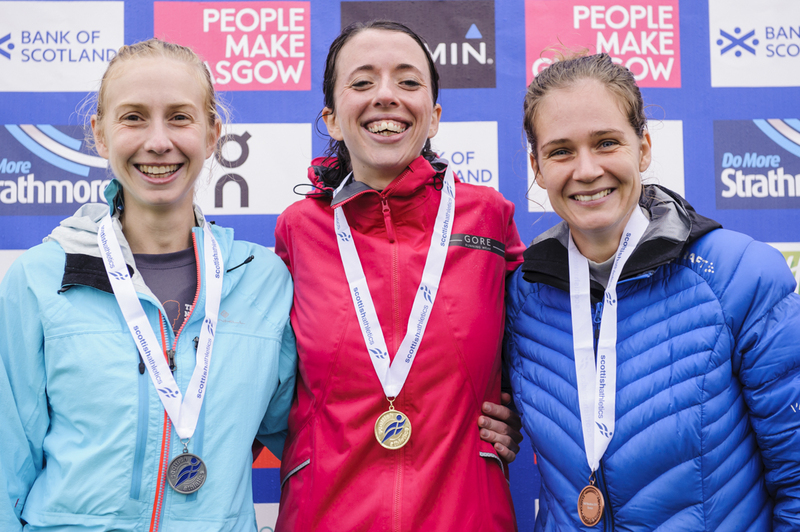 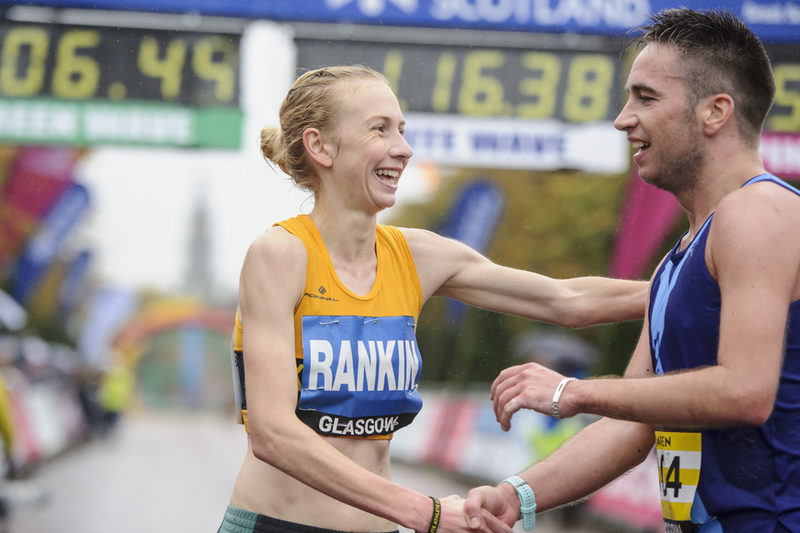 Gemma Rankin made her way through the field to take 4th female in the race and Silver in the Scottish Half Marathon Championships, running 76:37. 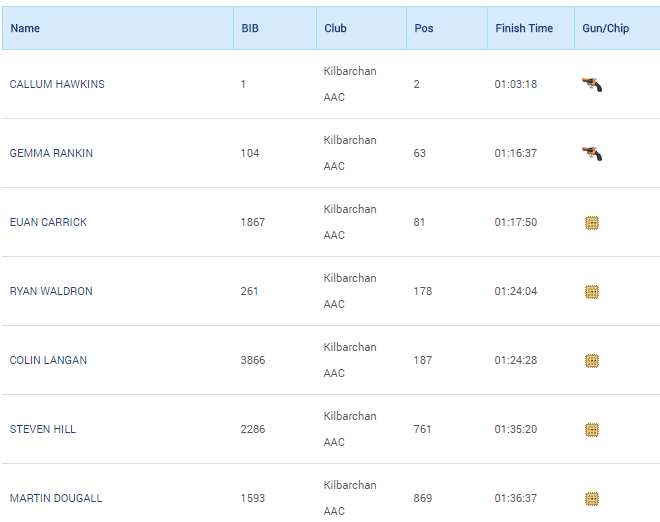 A few PB performances across the board in the rest of the field.